Biography: Laura is the Founder and Designer at Laura Felicity Design. She set up her own business in 2010, after leaving University the year before. In 2009 she qualified from the creative Degree ‘Applied Arts’, with First Class (BA) Hons, at the University of Hertfordshire. With determination and to keep following her passion for all things Print, and Interior Product Design, Laura was able to take her business on to full time in December 2014. 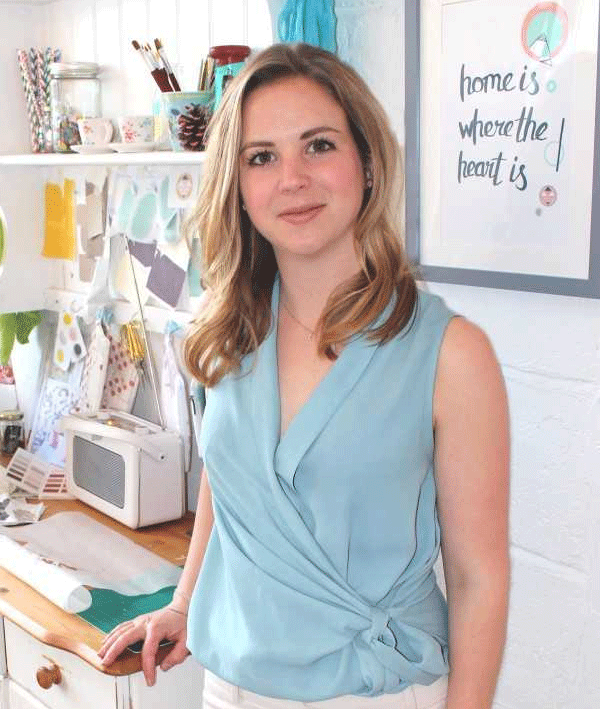 Where she is now designing, screen printing and digital printing her own patterned designs, which are manufactured as wallpaper, window blinds, lighting, fabrics, and lifestyle gifts. Laura see’s her business as being multi-passionate, because alongside the interior products, she also works for Freelancers in screen printing and pattern design, hosts a variety of craft workshops in and around London, to adults, teenagers and children. Plus, is the Visiting Artist at Queenswood School, in Cuffley, where she works with the school’s Art Scholars to create group projects yearly around the school, and helps enhance each Scholar’s personal development in their art work.